If you don’t own any Guardians of the Galaxy figures yet and want an instant set, Entertainment Earth has announced a new exclusive 6-inch Marvel Legends figure set. This set is based on the characters from the comic books, and comes with the earliest comic book version of Groot in action figure form. That’s reason enough to get it right there. 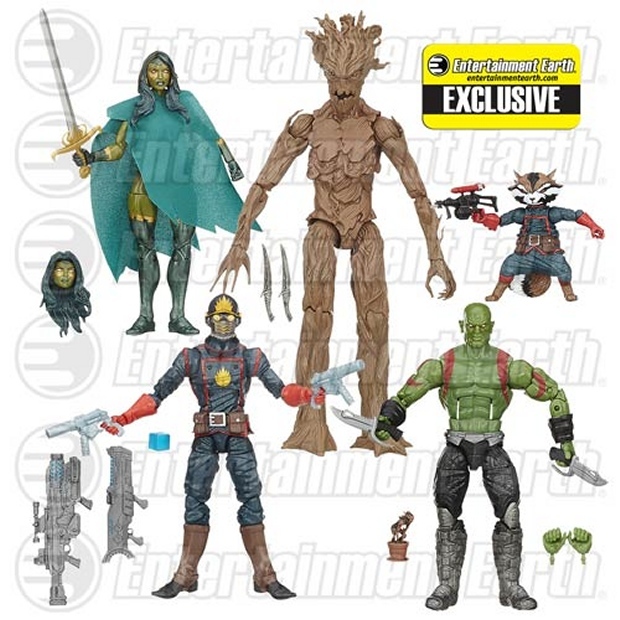 You also get Drax the Destroyer, Gamora, Star-Lord, Rocket Raccoon and Baby Groot. Basically this set is a must buy for fans of the comics. It looks like it comes with a lot of cool accessories too, like extra hands for Drax, an interchangeable Gamora head and more.